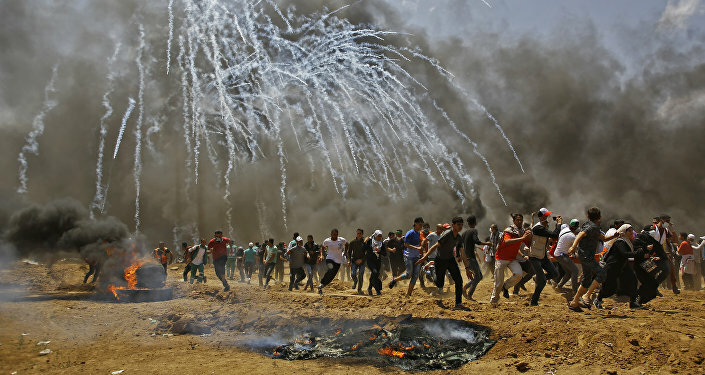 MOSCOW (Sputnik) - Chairman of the Indonesian People's Consultative Assembly Zulkifli Hasan on Sunday urged his foreign counterparts to support the independence of Palestine. "I would like to urge all parliamentarians to support the independence of Palestine. Secondly, to urge them to maximize cooperation to settle conflicts in the Middle East," Hasan stated. He added that parliamentarians should play a bigger role in fostering mutual understanding and peaceful coexistence between countries. Hasan also expressed his hope that "the role of Russia on the international arena will only grow over the years, and it will help to achieve peace and prosperity." The statement was made ahead of the upcoming two-day International Forum "Development of Parliamentarism," which will begin on Monday in the Russian capital of Moscow. About 500 guests from 96 countries, including 22 chairmen of national parliaments, will take part in the forum. Apart from Indonesia and Russia, over 130 UN member states recognize the State of Palestine.